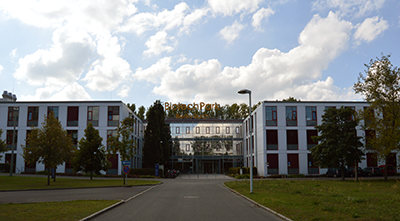 BIOSYNTAN GmbH was founded in 1997 as a scientific service company, focused on custom synthesis of peptides. A rising interest of our customers in modified peptides has prompted us to develop new methods for the manufacturing of such compounds. As one of the leading specialists in the synthesis of linear and cyclic peptides with unusual residues and a multitude of modifications we can offer you an extensive range of services today. Our core area is the manufacturing of fluorescently labeled peptides for assay development and the synthesis of post-translationally modified peptides.